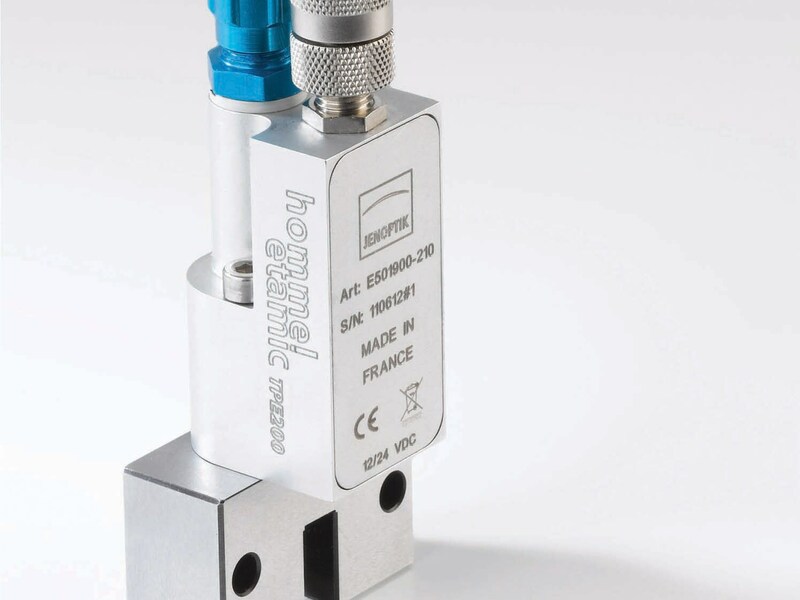 You can connect the transducer to all pneumatic gauging components. It offers flawless performance even under harsh workshop conditions. The GagelineTPE99 forms the core element of our pneumatic measuring systems. It is extremely flexible and suitable for all measuring tasks in production – be it on simple manual gauges, fixtures or grinding and honing machines. It works in conjunction with all pneumatic gauging components, for example, snap gauges, ring gauges or air spindles. You can also combine multiple transducers to form a battery. 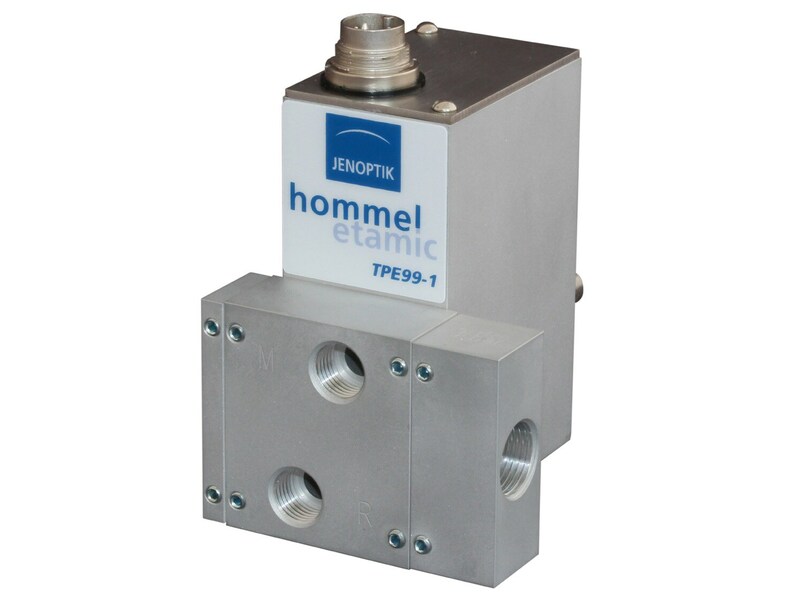 The TPE99 transducer transmits measuring signals with utmost security, reliabilityand precision, thus allowing you to display and analyze your measured values. The operating pressure ranges from 2.5 to 3.5bar. 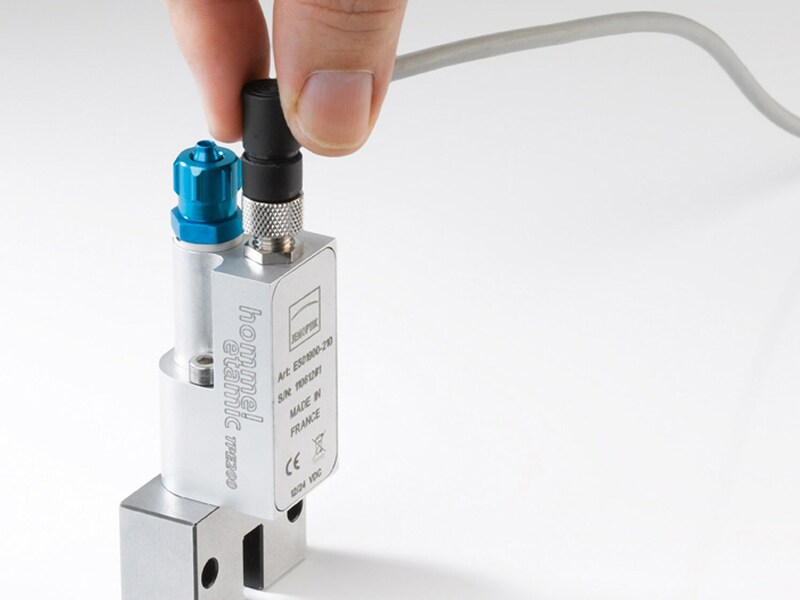 The pneumatic transducer monitors the input pressure and shuts down automatically if the pressure is outside the operating range. This negates the need for an additional precision pressure regulator. With a measuring time of 30ms, the TPE99 is extremely rapid. The transducer is particularly easy to use in combination with the Gagelineevaluation units. This can be done by a single employee, who does not require any special prior knowledge. This allows you to save costs, time and resources. The GagelineTPE99 transducer is fully compatible with your snap gauges. Contact us for more information. You can connect the GagelineTPE99 transducer directly to your ring gauges. Contact us for more information. The GagelineTPE99 transducer can also be used in combination with our air spindles. Contact us for more information. Extremely short response times: Measures in 30 ms, depending on installation type. 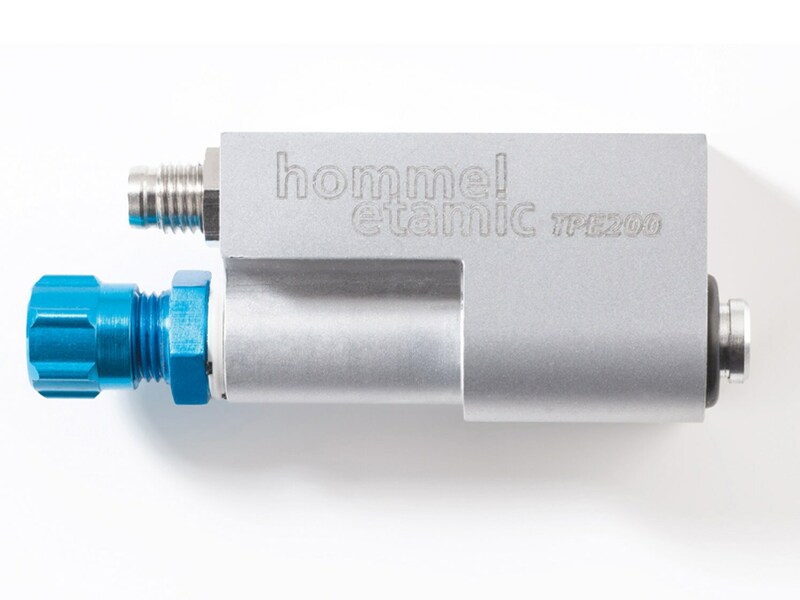 Flexible: Works in conjunction with all pneumatic gauging components. Universal: Suitable for all measurement tasks in production. Modular design: Connect the transducer to other converters or directly to the gauging components. Pneumatic air gauge snaps for reliable quality control.